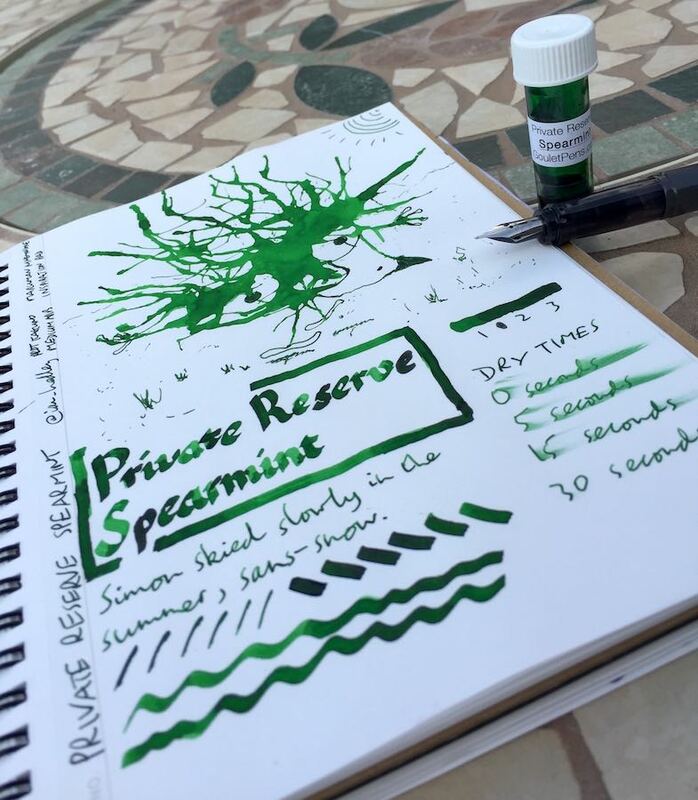 Private Reserve Spearmint Ink Review – Pens! Paper! Pencils! 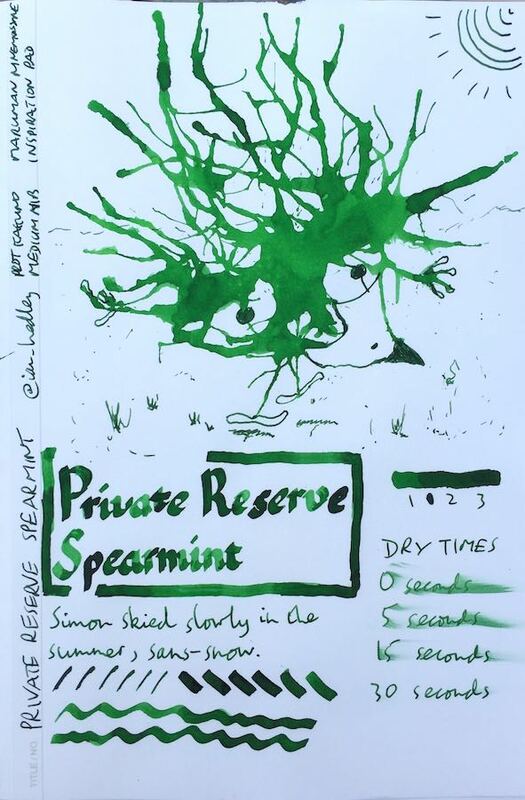 Private Reserve Spearmint is a very saturated ink with some nice shading and good dry times (although not everyone has found this to be so). It’s a gorgeous shade of green. You can find some more reviews of Private Reserve Spearmint on Pennaquod. Nice green, but I got turned off by PR inks after using Sherwood Green. It would smear months after writing! It also would also get all dark & even a little tacky in the feed, which would make it smear even more. For a while if I rinsed the feed quickly with water before using it, it would be ok, but that’s too much work, especially on the go. I may have to experiment with diluting it a bit if I use it again. I kept hoping this would suddenly smell (or taste) like spearmint. Lovely Inkling! It is one of my favourite greens, makes me think of Christmas cards.